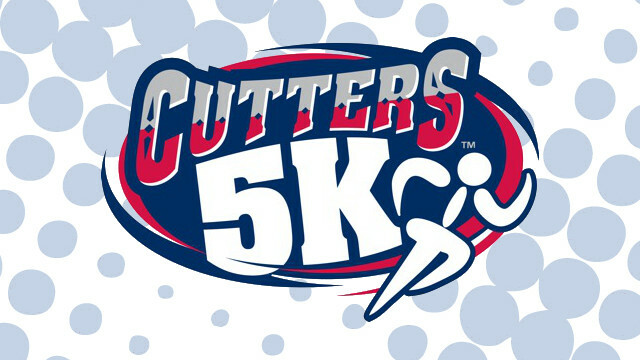 The Williamsport Crosscutters, in partnership with the Children's Development Center, will be holding the 6th Annual Cutters 5K on Saturday, June 25th at BB&T Ballpark at Historic Bowman Field. The race, through Williamsport's West End, begins at 9am with registration open at 8am. The course has runners starting outside the ballpark entrance with the final sprint inside the stadium finishing at home plate. Both runners and walkers are encouraged to take part in the event. All proceeds from the event benefit the Children's Development Center of Williamsport. Since 1923, the CDC has been providing services to children with special needs from birth to 21 years of age. Last year's event attracted almost 200 participants. Since its inception, almost $60,000 has been raised for the CDC through this event. "Hope Enterprises and its Children's Development Center strive every day to accomplish its mission of serving children and their families in this area. Due to the tremendous community support Hope has received over the years, we are able to meet the very specific needs of those we serve. As an example of that support, we are extremely proud and fortunate to partner with the Williamsport Crosscutters and their 5K run" stated Hope Enterprises President, Jim Campbell. Prizes will be awarded for 1st, 2nd and 3rd place in seven male and female age categories. In addition to the prize awards, the top male and female runners will throw out ceremonial first pitches at the Williamsport Crosscutters game on July 1st. Prizes will also be awarded to the top three male and female walkers. The event will also feature a new Kids Fun Run, free for children age 10 and under. All kids participating will receive an award. "We are proud to partner with the CDC annually on this event. It just keeps growing every year", said Cutters Vice-President of Marketing Gabe Sinicropi. Registration is $15 in advance and $20 on race day. All participants receive a race t-shirt (while supplies last), and a ticket to the July 1st Crosscutters vs. Batavia MuckDogs game at 7:05pm. Registration forms and more information are available online at crosscutters.com, at the Crosscutters offices at BB&T Ballpark or the CDC offices located at 625 W. Edwin St. Sponsorships of the event are also still available. The Crosscutters open the 2016 season on June 17 against the State College Spikes at BB&T Ballpark at Historic Bowman Field. The full schedule, along with detailed information on ticket packages, is available at www.crosscutters.com or by calling the Cutters at (570) 326-3389.